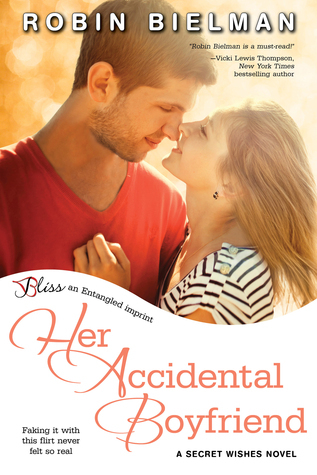 As a fan of contemporary romance I was pretty certain I was going to enjoy reading Robin Bielman’s Her Accidental Boyfriend. It has the typical elements that I love: a hot guy with history of being a player, an intriguing, beautiful, but not full of herself heroine, and an arrangement that has them eventually falling for each other. But what I loved about Her Accidental Boyfriend was the well written execution in bringing those elements together. Risky Surrender by Robin Bielman was a good read. It was different than the other books I have read lately because the hero and heroine’s jobs were not what I typically read about. Lucy is an archaeologist and Keats is an environmental preservationist.They first meet when Lucy steals an ancient emerald. Time passes and they meet again when Lucy shows up on a historic site that Keats’ company is preserving. He knows she is up to no good and is determined to find out what it is. He follows the “keep your enemies closer” mentality and does what he can to distract her. He didn’t plan on falling for her, though. Robin does a really nice job with Risky Surrender considering it is a short story (109 pages) which means there is a lot to pack in when you have a shorter time frame to develop the plot and characters. The plot was perfect for the length of the book and I was able to get to know and relate to the characters just fine. The build up of the relationship was believable and the intimate scenes were very well done and appropriate for the story and characters. I enjoyed the easy, flirtatious behavior between Keats and Lucy. In real life many times at the beginning of a relationship we don’t know how far to push things and sometimes pull back after we think we went too far too soon. This was true of Lucy, which I liked. If you haven’t read Robin Bielman yet, you really need to. She writes really good contemporary romance books. Her latest one called Kissing the Maid of Honor is new and just in time for wedding season! Robin will be stopping by today, so if you have any questions for her, just leave them in the comments section below. I reviewed Yours at Midnight by Robin Bielman over at Magical Musings. This was such a fun story. Go check it out!